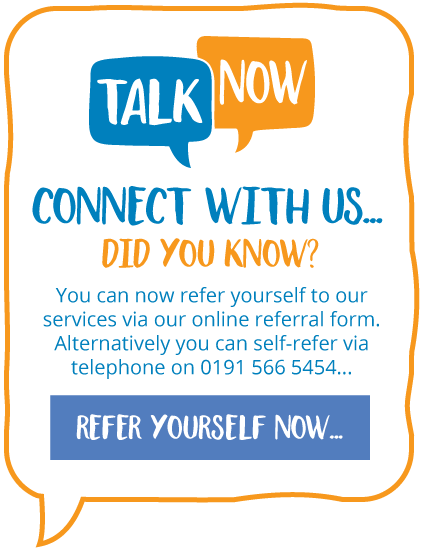 Sunderland Psychological Wellbeing Service follow the ’matched care model’, which means we will offer you an evidence based treatment (as per NICE guidelines) that is recommended for the difficulties you are experiencing. There are a range of different treatments for people with mild to moderate common mental health problems as described in the drop down menu. People who experience mild and moderate problems often report feeling much better quite quickly with a simple and short treatment. However, if your symptoms do not improve after the first treatment you receive we may then recommend another treatment which may be of benefit. This service is not appropriate for people who are already receiving treatment from another mental health service or who have a severe and enduring mental health problem.